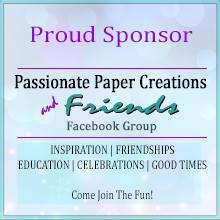 Quick Creations Challenge Blog: January 2015 Challenge! Hello everyone! Welcome to the Quick Creations Challenge Blog! Here you will find the info on each challenge. Each challenge lasts for 1 month. The winner will receive a stamp or other product of their choice of $10 value or less. Create a project using a product sold at Quick Creations with a snowflake. Your creation must be a new creation. All January projects need to be submitted by midnight on Feb. 1st, 2015.